April 11, 2017 marks this year's National Pet Day! Although many of us praise our beloved creatures as if National Pet Day were every day of the year, today is even more of an excuse to spoil your pet. This annual occasion was established in 2005 in order to acknowledge the joy, loyalty, and companionship that pets bring into our lives along with spreading public awareness of the animals living without homes in shelters scattered across the world. 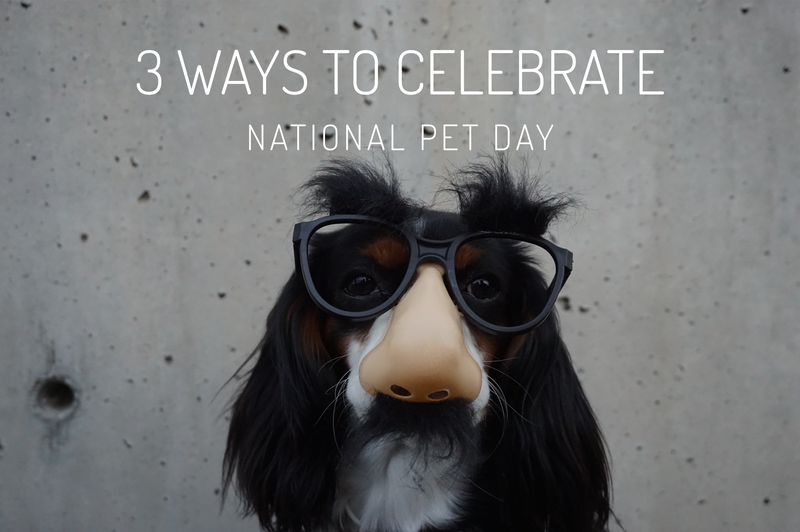 So, whether your little buddy is furry or feathered, here's 3 different ways you can help celebrate. 1. Donate. Start your day off by getting together some old blankets, linens, and toys to donate to your local animal shelter. 2. Go somewhere new. Is there a nearby park that you've been trying to take your fuzzy friend to but just haven't had the time? Make that time today! 3. Shop. For those readers in Portland, you know there are many different specialty shops for pets. Shop local and pick up a new toy or a tasty treat on your way home from work. Sounds like a pretty great way to spend your Tuesday, huh? Here at Page One, we will be celebrating National Pet Day the same as we celebrate every day in the office...with our pets! We allow dogs in our office because studies have shown increases in teamwork, productivity, and happiness whenever dogs are around. Click here to read more about how Page One celebrated National Dog Day last August! Feel free to leave your National Pet Day traditions or activities that you'd like to share in the comments below! As always, be sure to follow the Page One team on Instagram, where you can always find the latest on what our office pups are up to.